[Update] Accurate list of missions have been data-mined by the community members. While the points assigned to them are unknown, I have cut the missions in two for expected Phase 2 and Phase 3 missions below. They do have a notice right above the Reward Chest that says “Quests are not required to be completed on the day of the they are unlocked. You can complete them at any time before the Event concludes.” But its kinda hidden in the artwork. 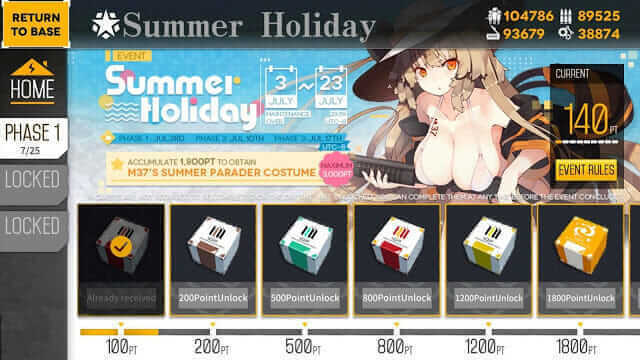 Heavy Production Coming to EN server!